These classes are 1.30h long. 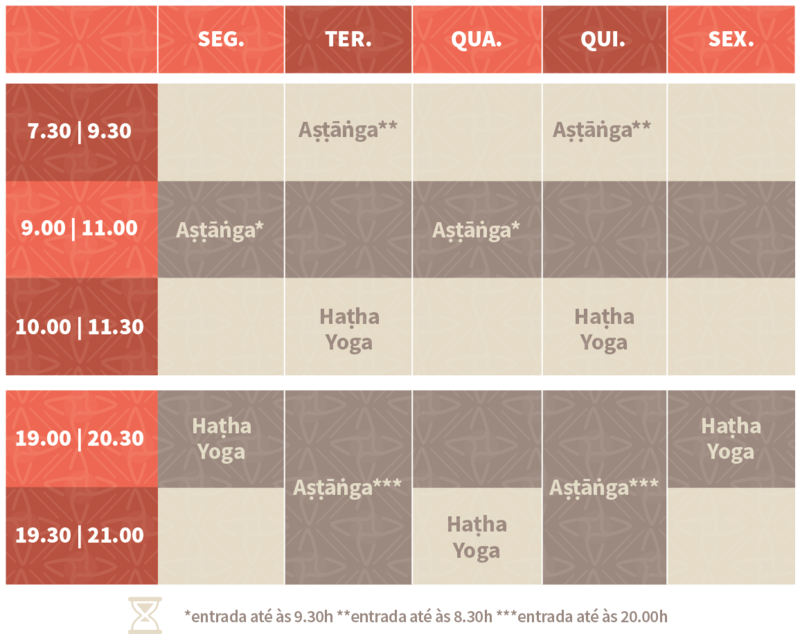 These classes are an introduction to the first of six series of Ashtanga Vinyasa. The 1st series is by itself a big challenge, but can be adapted to everyone regardless of age and physical condition. 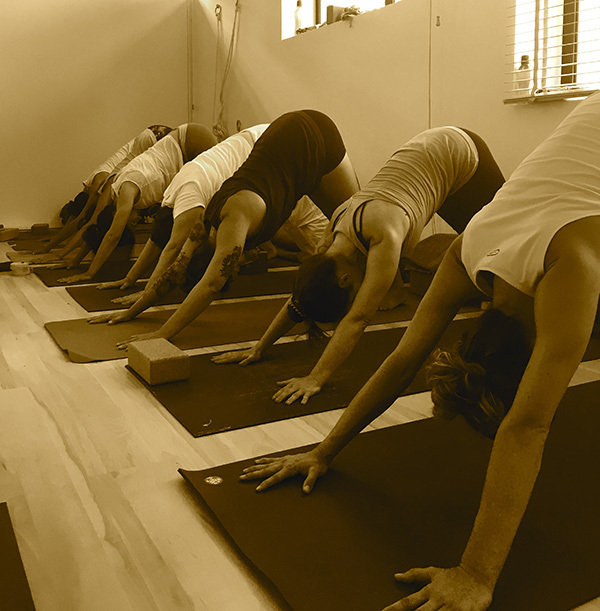 This practice tends to be more fluid and dynamic than the traditional hatha yoga practice. Each series has a precise number of breathings and in general less permanence in each posture, with many repetitions of the sun salutation movements (vinyasa) between them. Following this lines we will evolve in the main postures that build up the 1st series, learning the correspondent vinyasas, gazes (dridhti) and energetic keys (bandhas) that keep this practice light and fluid. Ashtanga vinyasa yoga is a hatha yoga system developed in India by K. Patabhi Jois and his Master Krishnmacharya, and is characterized by a group of ásana sequences combined with the breath and bandhas. We teach this method as it was taught to us by our teachers Tomas Zorzo, David Swenson, Andrés Wormull and Manju Jois. We are particularly influenced by the way of teaching of Andres and Manju, framing the method in the vedic tradition, to which we belong. This practice is developed individually according to the student’s conditions, therefore in the begining their duration tends to be shorter. Depending on each student’s pratice, classes can take from 1 hour to 1.45/2h, and always finish with meditation or vedic chanting. The student can come until one hour after the begining of the class and must finish in the given schedule. 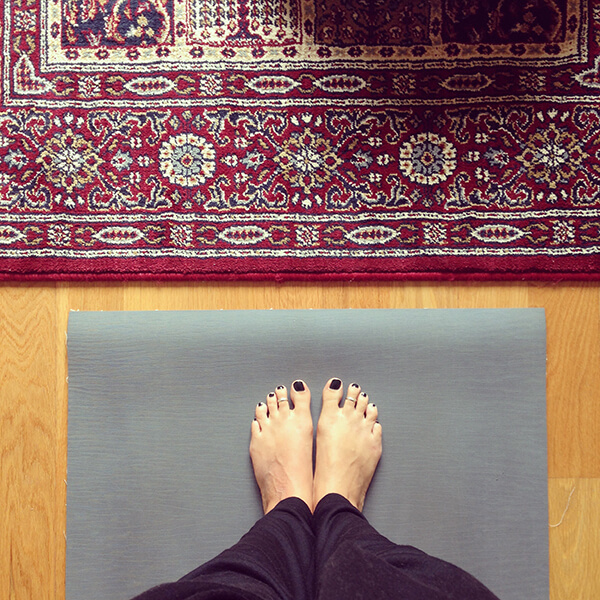 We have private yoga and/or meditation classes available for those who look for a more personalized experience, due to a particular need or just to deepen the practice. These classes are thought of to meet exactly what the student is looking for, with a great compromise from both sides – yours and ours. The sanskrit classes are for those who already know the alphabet and want to learn the language, so they are grammar classes. Chanting and reciting verses in sanskrit is a well known way of focusing and quieting the mind bringing it to a very perceivable space of silence. It is said that the simple act of listening to vedic chants brings a result to the one who listens, it is a form of meditation in itself that leads to a clearer and more peaceful mind. 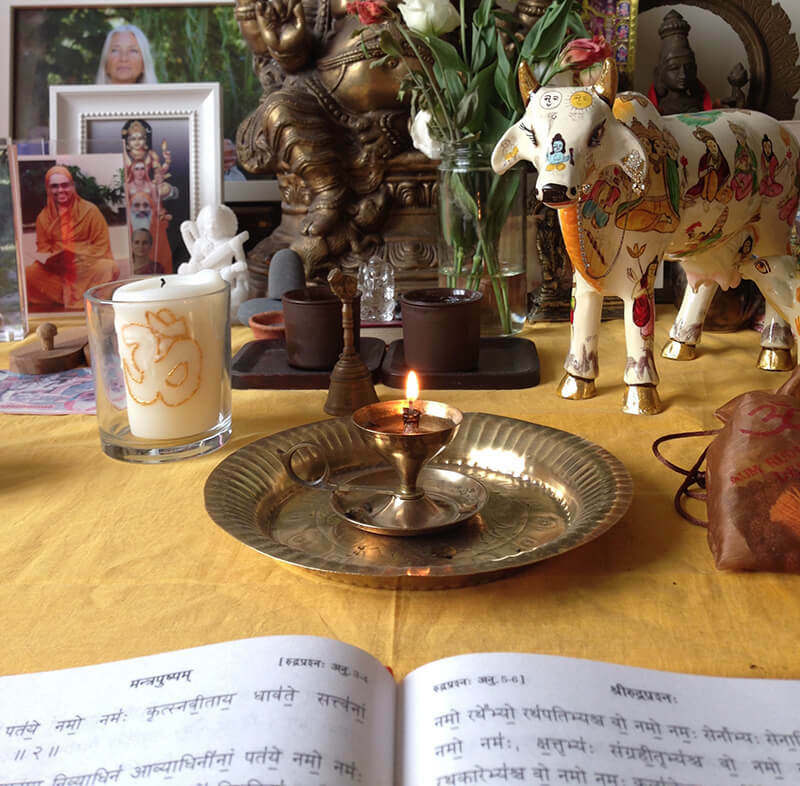 We can chant verses of the Veda or others within the vedic tradition.